Roberto Firmino‘s superb 2018 has been recognised, with the Brazilian taking home the prestigious Samba Gold award. The accolade is given to the best Brazilian player in Europe over a 12-month period, with past winners including Neymar, Thiago Silva and former Reds favourite Philippe Coutinho. 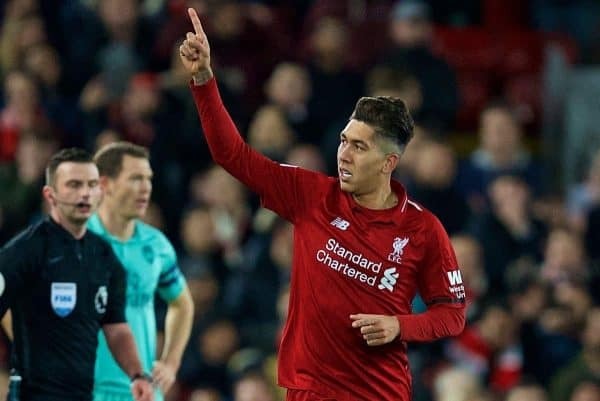 Firmino earned 21.8 percent of the vote, edging out Real Madrid left-back Marcelo (20.5%) and Neymar (18.7%) in second and third, respectively. Alisson‘s superb year for both Roma and Liverpool saw him finish fourth in the reckoning (16.4%), further outlining his pedigree. There was also a more-than-respectable eighth-place finish for Fabinho (2.6%), just ahead of Coutinho (2.5%), who is reportedly struggling at Barcelona at the moment. Firmino has become one of the most popular players at Liverpool this decade, with his personality and footballing ability making him a hero to millions. He had steadily improved in a Reds shirt up until the start of the 2017/18 season, but in the last 18 months or so he has become truly world-class. Leading the line in his own unique way, Firmino was influential as Liverpool reached the Champions League final last season, scoring 27 goals along the way. While not always as consistent in 2018/19, there are clear signs of the Brazil international’s top form returning, with a hat-trick against Arsenal last weekend and a goal in the Reds’ 2-1 loss at Man City on Thursday proof of that. He perfectly embodies everything good about this Liverpool side, and if they are to secure title glory in May, they need him at his best. 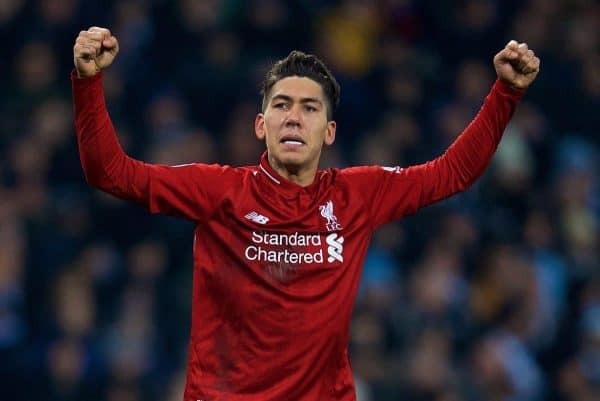 A well-earned break is now expected for Firmino, with Klopp almost certain to rest him for Monday’s FA Cup third round clash away to Wolves, before bringing him back for the trip to Brighton a week on Saturday.